Lord Ram, the seventh incarnation of Lord Vishnu, is seen as the ideal man who lived a model life to earn the well-deserved epithet of Maryadapurushottam . Lord Ram’s life and the way Lord Krishna lived are markedly different and the reason for the difference in their ways is very educative in terms of the way societies evolve and how the law keeps pace with the changing times, as it must. The two lived in different times and had come to convey different messages. 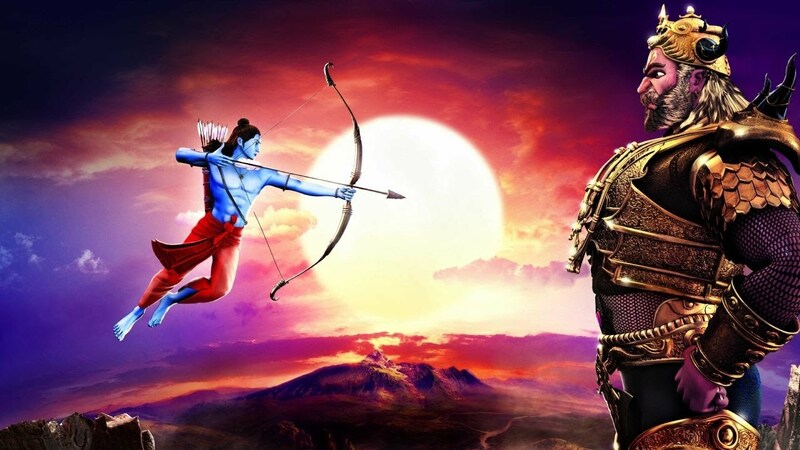 Lord Ram lived at the time when man was still wild and despite having come to know how to use his brain, he had little control over his basic instincts. He still thought that it was perfectly moral to acquire by force and the fact that one was powerful enough to take hold of something brought justification and legitimacy to an act of forcible takeover. It has always been the nature of power to go straight to the head of the powerful turning him into a power-drunk and power-hungry monster who wouldn’t think twice before misusing power for no reason. Principles of righteousness and the Dharma (the Supreme Law) was clearly laid out, but for the powerful they had relevance and were complied with only so long as they were useful, and could be violated without fear of consequences, when compliance was likely to produce results unfavourable to the powerful. Somebody had to demonstrate how the path of righteousness was to be walked by the powerful, and also that such a walk would not be comfortable, but was still virtuous enough to be worth all the pain and difficulties it had in store. The first tragedy struck Lord Ram when he was asked to leave the palace, drop his claim to the throne for fourteen years and dwell in the woods for that duration. This was a command from his father who was bound by his word to one of his wives. The promise once made had to be kept at all costs and the command of the father could not be violated. On the other hand, the kingdom deserved its rightful king. In a sense the political rights of the masses as a whole came in conflict with the right of the king to appoint an able ruler in his place when he grows old. Since it is the king who has the right to appoint a ruler, which may or may not be the oldest son, the convention of appointing the eldest son as the ruler was merely a convention and was not the law. Therefore, King Dashratha’s command to his son to drop his right to the throne for a certain time period and dwell in the forest did not suffer from any legal infirmity, and was, thus, complied with by Lord Ram without a moment’s hesitation. The second controversial incident in Lord Ram’s life is the killing of Bali. Bali had taken his brother’s share in the kingdom and also his wife by force. 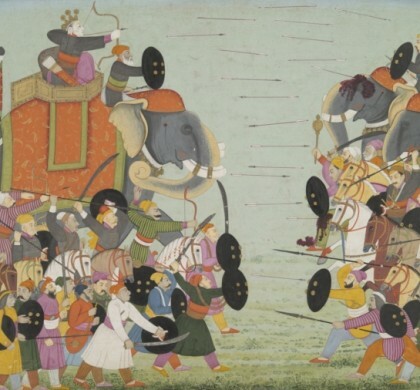 Bali could not be defeated in a duel due to a boon that anyone who fought him face to face had half of his might and prowess transferred to Bali. 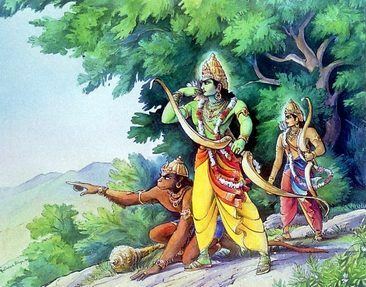 So, Lord Ram had to send a lethal arrow through Bali from a hiding. Certainly, it was against the rules of combat. 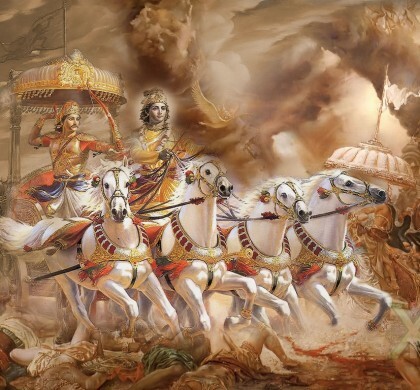 However, Bali’s act of taking his younger brother’s kingdom and his wife, who should have been treated like daughter by Bali, were unforgivable sins and went against the Supreme Law ( Dharma), the enforcement of which was the foremost duty of any kshatriya capable of defeating Bali. 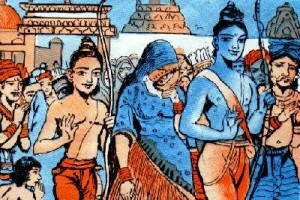 Since there was no other way to kill Bali except by compromising the rules of combat, Lord Ram chose to commit a lesser violation rather than allowing a far greater violation of a far more important law to continue, for had he chosen otherwise, he would have been guilty of offending the Dharma himself. Another controversial aspect relates to the killing of Ravana himself. It is at times argued that he was killed because Vibhishana turned a traitor and disclosed the way he could be killed. Therefore, the killing of Ravana was unfair because it was not right on Lord Ram’s part to use the information supplied by a traitor to slay an enemy in a combat. It must be remembered that the use of intelligence was very much in accordance with the rules of combat. And intelligence is received only on account of some information leakage from the enemy camp, which normally occurs through informants who are generally dissatisfied for some reason. Vibhishana was also one such person who was dissatisfied with the unjust and sinful conduct of his king and brother. In fact, it was Ravana himself who turned him out. So, there was nothing against the combat rules in Lord Ram’s taking Vibhishana’s help against Ravana. 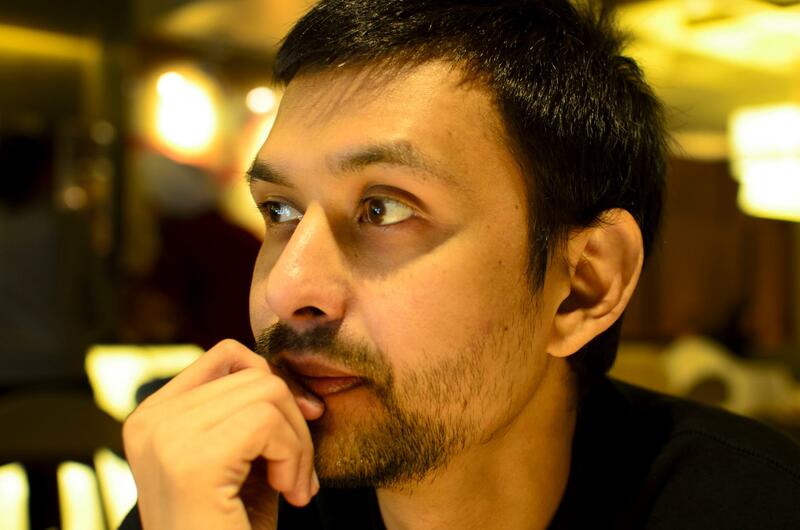 However, the most controversial move, and the one that is most hotly debated till date is the expulsion of Sita simply because a laundryman cast aspersions on her chastity. Lord Ram, having already subjected Sita to agnipariksha (Test by Fire) in order to forestall aspersions on her chastity, had no reason to doubt her chastity. Therefore, the act of sending her away was wholly unjust. It needs to be underscored here that neitheragnipariksha , nor the expulsion of Sita was desired by Lord Ram. Agnipariksha was conducted so that Sita’s chastity could be above doubt in the eyes of the masses, but laundryman’s pointing finger proved the ineffectiveness of the agnipariksha , and Lord Ram had to send her out for the satisfaction of his people. It is pertinent to add here that Lord Ram sent his wife away and not a citizen of Ayodhya, nor the queen. 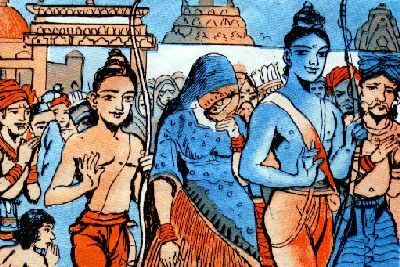 Sita could not be sent in exile either as an individual or as a citizen because nothing against her was formally brought up before King Ram. In Hindu tradition, husband and wife are treated as one unit and not as separate individuals. Therefore, it was a self-infliction on the part of Lord Ram to allow King Ram to respect the wishes of the people. It was, thus, not an injustice to Sita because in this regard Sita cannot be seen as separate from Lord Ram. 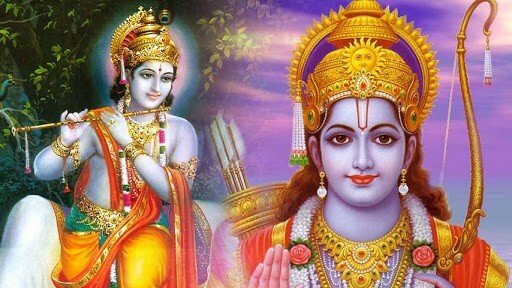 Therefore, Lord Ram lived an ideal life because in his time man had learnt that following the rules of righteousness and living in accordance with the Dharma was virtuous. So, he showed how to walk the path. 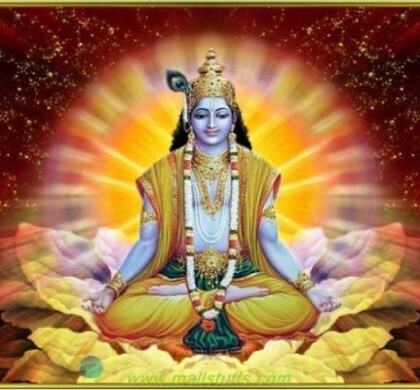 However, by the time Lord Krishna came, man had started using intellectual manipulation to misinterpret and bend the rules to obtain undue advantage. Man had grown a little too ambitious to live a virtuous life. Happiness through material prosperity had replaced bliss through internal peace and contemplation. People had actually started believing that wrong was right so long as one could get away with it. The Supreme Law, therefore, had to be re-stated and re-established in a new form. 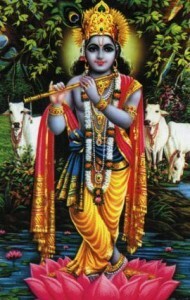 And Lord Krishna did just that. Originally published as part of Thinkers and Theory series in Lawyers Update in October 2013.